While the IRS was scrutinizing Tea Party groups, other organizations were clearly using the majority of their funds for political activity. The additional questions provided by the IRS to Tea Party and some Democratic-leaning groups seeking social welfare 501(c)(4) status appears to have been an inappropriate level of scrutiny. But is the current controversy swirling around Washington obscuring much, much bigger issues around the 501(c)(4) tax status? The real scandal has been the blatant abuse of 501(c)(4) status by dozens of lobbyists and operatives who have set up such tax-exempt organizations as political slush funds to conceal money in political campaigns. Since the Citizens United decision, 501(c)(4) groups, have operated as Super PACs—raising and spending tens of millions in corporate funds—without disclosing a dime of their contributors. 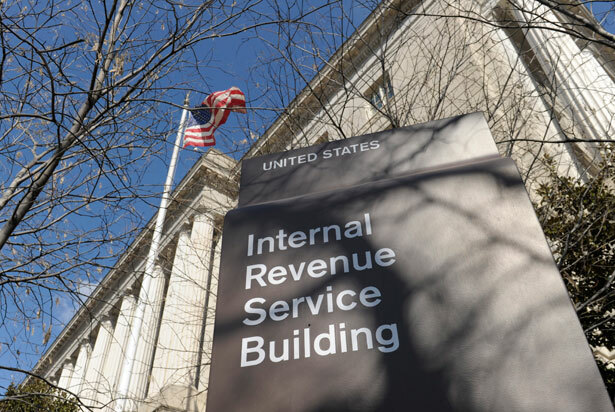 IRS rules state that the primary activity of such groups cannot relate to political advocacy, yet examples abound of 501(c)(4) groups spending well over 50 percent of their funds on attack ads, political action committees and other clearly political expenses. These potential violations of the law have gone on for several years now, with very little interest from the Beltway media or Capitol Hill Republicans, many of whom owe their election to spending by bogus 501(c)(4) organizations. The American Action Network is a 501(c)(4) nonprofit run by corporate lobbyists like Vin Weber (of Sallie Mae) and Tom Reynolds (of Goldman Sachs). Citizens for Responsibility and Ethics in Washington found that on its tax returns, “AAN reported spending a total of $27,139,009 on all activities from July 2009 through June 2011—$1,446,675 on its 2009 tax return and $25,692,334 on its 2010 tax return—making political activity 66.8 percent of its total spending.” Since IRS rules for primary activity have been interpreted to mean that 501(c)(4) groups cannot spend more than 49 percent of their funds on political endeavors, American Action Network appears to be skirting the law. The group spent more than $745,000 to help elect Senator Ron Johnson (R-WI), one of the lawmakers now calling for hearings into the IRS narrowly on grounds that the agency inappropriately targeted Tea Party groups. The Commission on Hope, Growth and Opportunity is a 501(c)(4) organization reportedly set up by lobbyist Scott Reed, which told the IRS when it applied for social welfare status that it would not spend money on political campaigns. In fact, Reed boasted to reporters that he had sought big donations from the health insurance, energy and banking industry to run ads against Democrats. According to disclosures, CHGO broke the primary activity threshold and spent 53 percent of its funds during the midterm elections on political advertising. The group spent big on defeating lawmakers like John Spratt (D-SC). The American Justice Partnership is a 501(c)(4) group run in part by Republican consultants Dan Pero and Cleta Mitchell. In 2010, the group spent 77 percent of its funds moving money to political attack ad groups like the American Future Fund or to political action committees like the “Michigan Republican Party Admin Account.” Part of the remainder of the funds appears to have been spent on consulting fees to the board members of the group. The American Future Fund is a 501(c)(4) group set up by a number of Republican operatives, and has aired millions of dollars in attack ads against President Obama and Democratic candidates for Congress. In 2010, the group spent 15.3 million of its 21.3 million expense budget on media consultants. AFF reportedly used its funds on television attack ads, direct mail against candidates and political telemarketing. In other words, the group spent 71 percent of its funds on political purposes. The 60 Plus Association is a front group designed by Republican operatives to appeal to senior citizens. The group’s budget swelled during the 2010 midterm campaign. Through June of 2010, the group spent about $15.5 million, $11.5 million of which went to media-buying and direct mail firms for campaign advertisements—74 percent. One set of ads deceptively claimed congressional Democrats voted to cut $500 billion from Medicare, failing to note that actual cuts were to Medicare Advantage, not to regular Medicare beneficiaries. As Jim Martin, the head of the group told me last year, though the organization touts itself as a voice for seniors, the group openly solicited corporate donors as well. It’s clear why these Republican operatives used 501(c)(4) organizations as tools to move millions in political money. Big publicly traded corporations have been eager to exploit the Citizens United decision but have avoided Super PACs because Super PACs face regular disclosure requirements. 501(c)(4) never have to disclose donors. For instance, health insurer Aetna accidentally revealed that it had provided $3 million to the American Action Network, a fact the company apparently wanted to keep secret. The IRS 501(c)(4) system is horribly broken, but it seems the scandal surrounding added scrutiny for Tea Party groups will not fix any of the problems. The IRS should focus on big players that skirt the law, especially the ones proven to have passed the 50 percent threshold, as I’ve documented above. And there are many ways to fix systemic issues with the IRS that go beyond investigating sham groups. For one, the minimal disclosure system for 501(c)(4) groups is only in paper/CD format and is displayed to the public over a year after the money is spent. That’s why we still have little to no data on new Democratic groups, like Priorities USA, that recently began mimicking Republican 501(c)(4) organizations that were so active in the 2010 election cycle. Moreover, PublicResource.org’s Carl Malamud has a proposal to digitize all the 501(c)(4) disclosures so the public and press can review them, and well, make a decision about “primary purpose” for themselves. Mad at the IRS? Blame congress!